Find out what's happening at Crossroads! All events for the week are listed below. Filter by individual event categories such as Community Events, Market Stage music performances, and other options listed in the menu on the right. And don't forget to check out our great Sales & Promotions! Offer good through April 30. One hour Massage or Facial: $69.95 One hour Hot Stone Massage: $89.95 One hour Couples Massage: $119.95 Introductory pricing only. Call 425-329-7712 for an appointment or visit www.handandstonebellevue.com. Meet up with a friend and enjoy discounted entry ($7 per child). Get help navigating the maze of public health issues. A King County public health outreach worker will be on hand at Mini City Hall to help with information about many different Public Health programs including energy assistance, health insurance and other programs for children and families. Free drink with $5.00 purchase! $2 / 4oz cup of yogurt!! 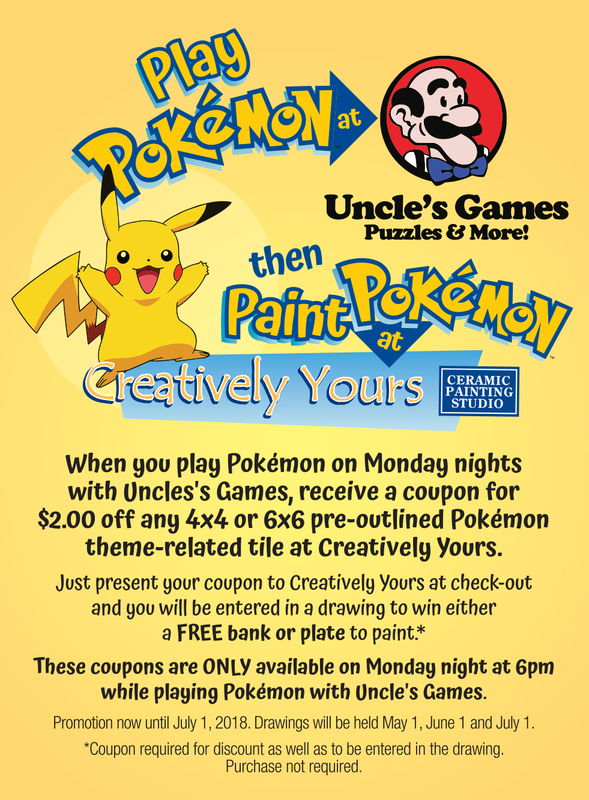 Every Monday night from 5pm til close we will be hosting Pokemon Go meetups. Players can expect to meet a ton of other people playing the game, as well as the Pokestops in the area to be given lure modules all night. Every two hours we will be taking tally of which teams control the two nearby gyms, to be totaled up and reset every month. More to come! A Hindi, Bengali and Urdu interpreter/translator is available at Crossroads Mini City Hall to offer personal assistance to the people of Bellevue’s most diverse and densely populated neighborhood. The service center is a fully equipped satellite office for City Hall, staffed by a coordinator and community volunteers. Crossroads Mini City Hall offers: • Information and referral • Quick response to concerns • Information about jobs • City bill payment location • Multi-language materials and services • Community events For more information call 425-452-2800. Providing health outreach, awareness and enrollment into Medicaid & quality health plans through the Washington marketplace. Also provides referrals to community resources & assists with applications to help lower medical bills. Statewide Health Insurance Benefits Advisors volunteers provide free, unbiased and confidential help with Medicare and health care choices. SHIBA is part of the Washington State Office of the Insurance Commissioner’s consumer protection services. Call 425-452-2800 for an appointment. 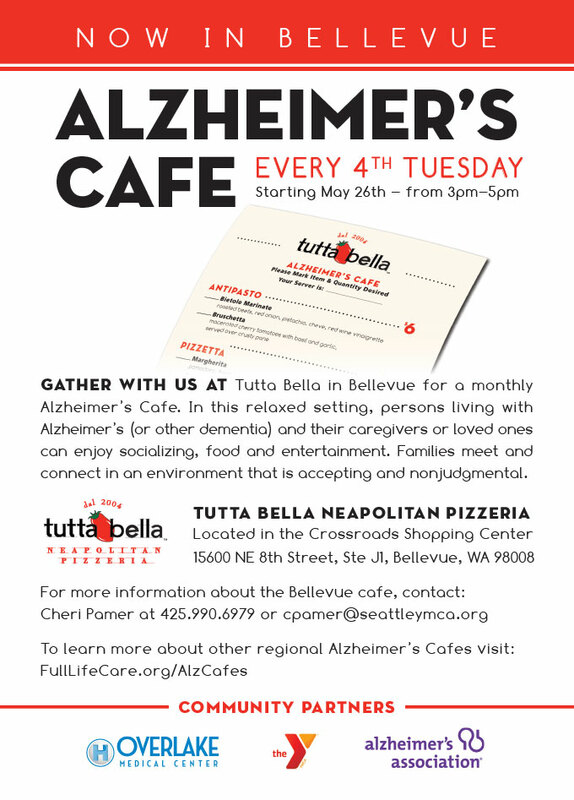 Gather with us at Tutta Bella at Crossroads Bellevue for a monthly Alzheimer's Cafe. In this relaxed setting, persons living with Alzheimer's (or other dementia) and their caregivers or loved ones can enjoy socializing, food and entertainment. Families meet and connect in an environment that is accepting and nonjudgmental. To learn more about other regional Alzheimer's Cafes visit www.fullLifeCare.org/AlzCafes. A Spanish interpreter/translator is available at Crossroads Mini City Hall to offer personal assistance to the people of Bellevue’s most diverse and densely populated neighborhood. The service center is a fully equipped satellite office for City Hall, staffed by a coordinator and community volunteers. Crossroads Mini City Hall offers: • Information and referral • Quick response to concerns • Information about jobs • City bill payment location • Multi-language materials and services • Community events For more information or to make an appointment call 425-452-2800. A Russian interpreter/translator is available at Crossroads Mini City Hall to offer personal assistance to the people of Bellevue’s most diverse and densely populated neighborhood. The service center is a fully equipped satellite office for City Hall, staffed by a coordinator and community volunteers. Crossroads Mini City Hall offers: • Information and referral • Quick response to concerns • Information about jobs • City bill payment location • Multi-language materials and services • Community events For more information call 425-452-2800.
https://crossroadsbellevue.com/media/1244/earpiercing980.jpg Free ear piercing with purchase of a start kit. Kids start at $39. $16 adult surcharge. See stylist for details. King County Libary System provides a free digital literacy program called Computer Coach with the goal of improving skills for employment, education, and life-long learning. A Korean interpreter/translator is available at Crossroads Mini City Hall to offer personal assistance to the people of Bellevue’s most diverse and densely populated neighborhood. The service center is a fully equipped satellite office for City Hall, staffed by a coordinator and community volunteers. Crossroads Mini City Hall offers: • Information and referral • Quick response to concerns • Information about jobs • City bill payment location • Multi-language materials and services • Community events For more information call 425-452-2800. Bach to Rock Redmond presents kid-friendly live music performances based on a different theme each month - from singer songwriter, to rock, to classical, jazz, world music, and more - with opportunities for audience participation. Bach to Rock in Redmond, WA provides music lessons for students of all ages and skill levels living in Redmond, Kirkland, Bellevue, Sammamish & Woodinville. Instruments they teach include guitar, piano, drums, voice, violin, trumpet & more! B2R birthday parties and seasonal camps are great opportunities to play & learn music with your friends and make new ones! They also have early childhood classes for toddlers and preschoolers. Take your skills to the next level in a Glee Club or Rock Band. B2R offers opportunities for students to perform in venues around Seattle and King County. Popular music duets and solos accompanied with professional guitar. Styles include Blues, Pop, 1960s, and Top 40. Join other women new to climbing while our instructors guide you through the basics. We will boulder, top rope and most of all learn what all that means. 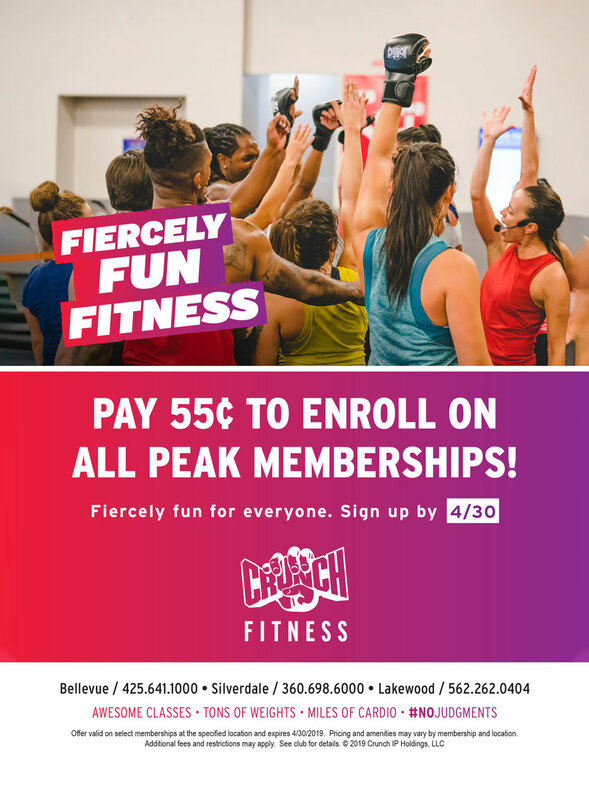 No climbing experience needed and no pre registration required - though it would be helpful if you filled out your waiver on-line prior to class. Cost - $20 includes entry, gear rental, and instruction by an all female staff. Free for Stone Gardens members. For more information visit us at www.stonegardens.com or contact Beth Oldroyd - beth@stonegardens.com.